5 April 2019. 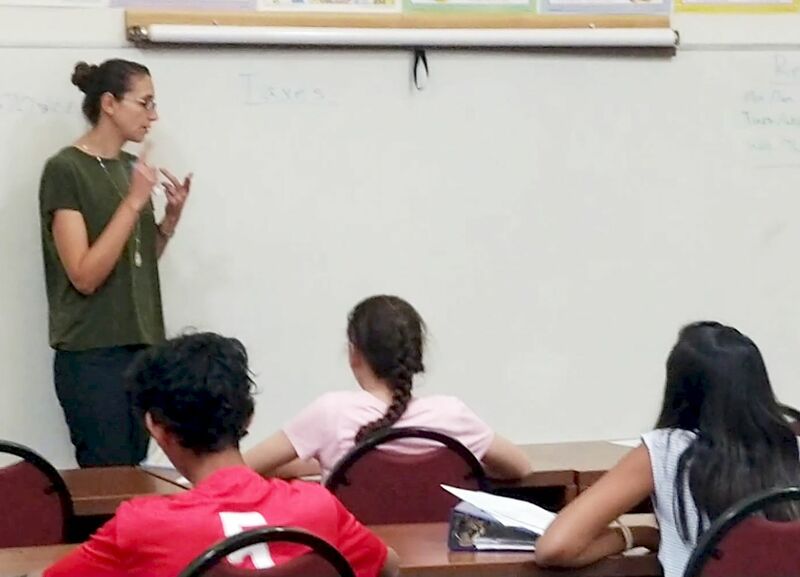 At the Las Cruces Academy, our teachers develop their own high-level curricula. Teacher Elizabeth Brasher has been with us since the 2014-15 academic year. Her main effort is teaching English at diverse levels, while she also teaches social studies for grades 3-5 and grades 6-7. Our students engage in real discussions in some depth. We are a non-profit private school, free to innovate and to address the needs of students who have talents to develop. Here’s a short video on YouTube.